Studio+ and Visual Culture+ is an optional additional year between the second and final year of study open to undergraduate students in Design, Fine Art and Visual Culture. This is an exciting opportunity to combine different experiences from a range of options allowing NCAD students build a bespoke learning experience to suit their particular skills and ambitions. Studio+ and Visual Culture+ offers you as an NCAD student the opportunity to immerse yourself in real-world work environments, to learn from the skills & expertise of students and staff from other disciplines and to engage creatively with community and civic society. It is designed to enrich your learning experience by enabling the development of your practice across a range of cultural and social settings. You will be challenged to consider your work outside of the college environment and to actively pursue areas of interest particular to your creative and professional ambitions. There is a lot of very useful general information on how the Studio+ year works in the FAQ section above. How to Apply: All second year students in Visual Culture, Fine Art and Design will be sent an invitation to apply for Studio+ by email. You will be asked to choose 60 credits worth of options that will constitute your Studio+ year. You will be asked to make your choices in March 2019. Where you have already applied for an Erasmus study placement you will be asked to confirm this choice. Students who successfully complete 60 credits during the Studio+ year will return to complete the fourth and final year at NCAD. Graduates will be awarded a degree with recognition of 60 credits earned through Studio+ on your transcript. Where 30 or more credits are earned through study or internship abroad, a BA International is awarded. 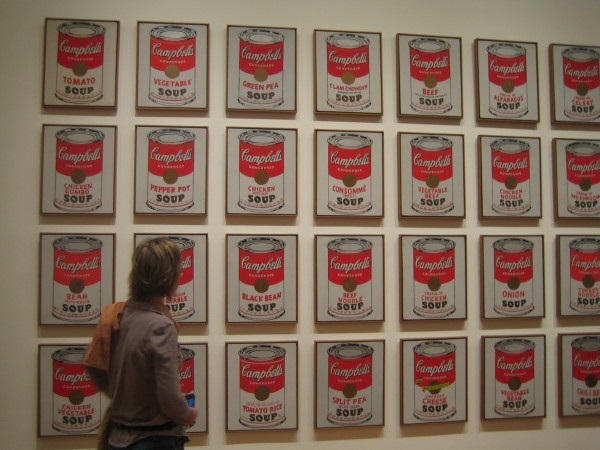 There are five Visual Culture options outlined below. The Opportunity: This option is an opportunity for you to develop the professional skills required for a career in a cultural or commercial context. It takes the form of semester-term placements with arts organisations like museums, galleries or archives or commercial businesses like design companies. NCAD has long-standing relations with national and international organisations in these sectors. The Visual Culture Plus Internships are an excellent way of testing whether your interests in a particular professional sphere might develop into a career. How will I learn? Each internship will be tailor-made to suit the needs of the student and the host organisation. Typically, students will work alongside professionals on real projects and operations. In this way, you will develop team-working skills, increase your initiative and confidence, and develop an inside knowledge of a professional setting. Where training in systems or software is required, this will be provided by the host organisation. A learning agreement is made between the host, college and student, and progress is reviewed on a regular basis. How will I be assessed? A student on an internship is required to complete regular reports on his or her own progress. This form of critical self-reflection is reviewed by the host organisation and the Visual Culture team at NCAD. Host organisations provide mentors who give regular feedback on a student’s progress in the form of one-to-one meetings. Location: A student is based in the host organisation. Internships provide opportunities for students to remain in Ireland or to go abroad. When is this option available? This option is available in Semester 1 and Semester 2. By negotiation, it may be possible to undertake this option outside semesters (for instance, in the summer). Credit value: This option can be undertaken on a 30 credit basis (a one semester internship), or on a 60 credit basis (two semester-long internships). How many places are available? Visual Culture Studies will be available to a maximum of 6 students. 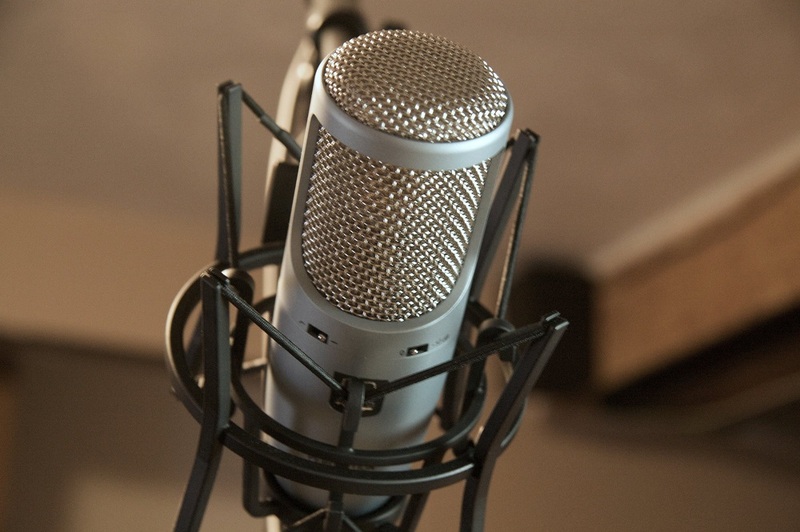 The Opportunity: You will join a group of students from different NCAD programmes to develop a podcasting platform. This will be a live project – in other words, your podcasts will be available to listeners anywhere in the world. The content and the purpose of the platform will be determined by you and the student team. You might decide to make a series of weekly arts podcasts, review new art and design in Dublin, or you might chose to address a topical theme like ‘sexuality today’ or the ‘future of the image’ in longer format podcasts. You might commission experimental sound art or you might want to use the Radio NCAD platform to live stream events which you have organised. What will I learn? You will be taught recording and editing skills. You will build an online platform and so will develop software skills too. Your work will be supported by media professionals in workshops designed to develop critical skills, teamwork and confidence. How will I be assessed? You will present your work – as proposal and completed podcasts - to your peers in the team and to media professionals for feedback and evaluation. Location: You will have a base on the Thomas Street campus for editorial meetings, workshops, as well as to conduct recording and editing work. Credit value: This option can be undertaken on a 30 credit basis (comprising two sequential modules of 15 credits each), or on a 60 credit basis (comprising four sequential modules of 15 credits each). 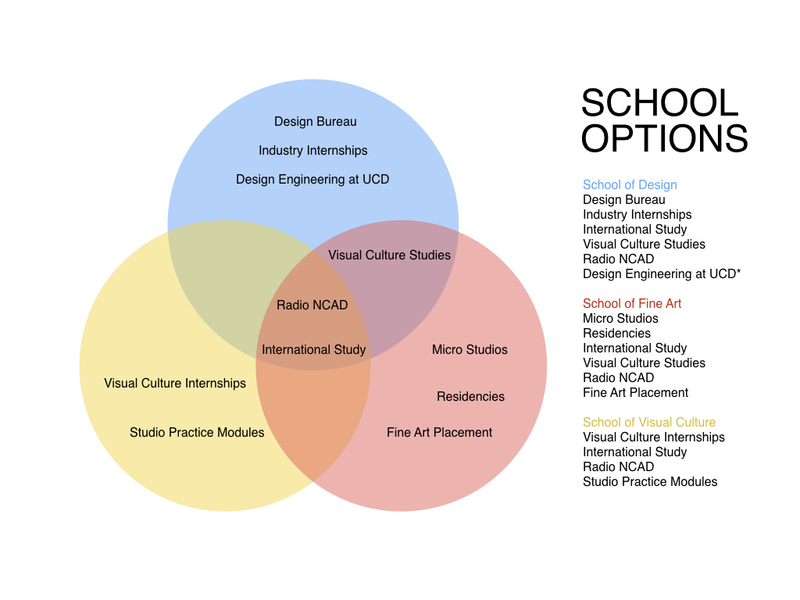 The Opportunity: Students who opt for the Studio + Year can include a semester of study abroad at one of NCAD's partner institutions as one of their options. Study exchanges to European partners are organised through the Erasmus programme with a small funding grant available to students to help finance living expenses while abroad. Students who successfully complete 30 credits of international study will gain a BA Fine Art/ Design/ Visual Culture (International). What will I learn? A learning agreement will be drawn up between the host institution and NCAD which will be approved by your Department. How will I be assessed? You will be assessed by your host Institution. These results will then be converted to an equivalent grade in the NCAD grading structure and recorded at an NCAD Exam Board. Credit value: A single semester abroad is equivalent to 30 credits. Students who opt to take a full year study abroad will gain 60 credits. Location: The Erasmus Office has a comprehensive list of partner institutions across Europe and can discuss this with you. NCAD also has a number of international partnership options outside of the Erasmus programme particularly in North America, this option can also be explored with the Erasmus Office. When does this module run? This option is available in both the first and the second semester. How many places are available? NCAD is allocated a set number of Erasmus+ grants from the HEA annually. We have not yet received confrimation of our allocation for 19/20 however it is anticipated that as per in previous years the allocated grants will be sufficient to cover all students wishing to avail of this option. The Opportunity: This option is an opportunity for you to explore contemporary art and design studio practice by taking second year modules offered by various departments in the School of Fine Art and in the School of Design at NCAD. This option will be available in limited numbers in semester 1 of 2019-20. Studio Practice modules are an excellent way of developing your understanding of techniques, materials and processes by undertaking practical, creative art and design work. Places are limited and students will need to demonstrate a keen aptitide for studio practice. How will I be assessed? Students will be supported and assessed on the same basis as all studio based students at NCAD - via crits, one-to-one tutorials and written feedback. Location: Students will have access to the studios and workshop facilities in specific departments at NCAD. When is this option available? This option is available in Semester 1 of 2019-20.
Credit value: This option can be undertaken on a 30 credit basis. How many places are available? TBC. The Opportunity: The Garden Project is envisaged as an interdisciplinary Studio+ Base between Art, Design, Visual Culture and Education. This Base will be sited in the NCAD Garden beside the college. The site has recently been the home of a beautiful urban garden/farm that has had a number of dimensions in terms of its stewardship, the people who have worked in it, those who have visited and benefited from it, and has generated an amount of landscaping and structures. The Garden Project has many potentials, including being a site of horticulture, production, leisure, pleasure and other contemporary urban co-ordinates for example. These offer a range of research and practice possibilities, activities, ecologies and engagements with a wider community that fall within the frame of expanded Art & Design practices and potentials. There are seven Design options outlined below. The Opportunity: You will undertake a work placement in accordance with an agreed learning plan of work within a vetted industry partner. The aim of the Design Industry Internship is to provide you with the opportunity to apply your subject specific design skills, knowledge and understanding, as well as personal transferable skills, acquired in your programme of study, to the real world environment of work. You will gain real life ‘practical’ experience within your chosen area of study, increase your employability and begin to build a professional network within your chosen industry. All internships are structured as a three-way partnership between the employer, the student and NCAD, where you will be given the opportunity to work and learn in a professional environment relevant to their design studies, in order to achieve set goals. Placements may be multiple and weighted accordingly at assessment. • Discuss the function and structure of the organisation in which they are placed, and it’s use and application of design. • Understand and discuss the role/s of design within companies and organisations. • Demonstrate planning and organisational skills. • Apply subject-specific design skills, knowledge and understanding acquired in their programme, to a workplace situation. • Demonstrate professional, interpersonal and communication skills appropriate to a workplace situation. How will I be assessed? You will follow an agreed learning plan in order to receive meaningful, study-related work experience, which will be of significant advantage to you when in post-graduation employment. You will record your experience in both a logbook, placement report and a reflective journal, and your performance at work will be assessed by your respective in-placement company via an evaluation form. The module is graded pass or fail. Location: Within an appropriate design company, consultancy or organisation. The Opportunity: You will work on live commercial, social and cultural projects within a Studio+ interdisciplinary design bureau. Under the creative direction of NCAD staff, you will identify opportunities, generate ideas, and make tools for positive economic and/or social change. Working as a member of the Design Bureau you will be expected work with colleagues to provide all of the expected services any other agency or consulting firm would, including initial client contact, preparing quotes and organising project teams. This option will enable you to gain real life ‘practical’ experience within a multi-disciplinary design team; increase your employability, develop your team working skills and provide you with an inter-disciplinary peer network. • Demonstrate an understanding of how to work with clients to research, develop and deliver design for industry and social design projects. • Demonstrate project planning and organisational skills. • Apply subject-specific design skills, knowledge and understanding acquired in the programme, to a workplace situation. • Demonstrate professional, interpersonal and communication skills appropriate to a team based workplace situation. How will I be assessed? You will submit a written critical evaluation of the live project/s undertaken along with a portfolio of design work which should provide evidence of all work carried out by you during the project/s. The modules are graded pass or fail. The Opportunity: As an NCAD Product Design student you can undertake a semester within the School of Engineering at UCD, providing you with the opportunity to develop your technical skills in more depth, and provide a firm foundation for a more design engineering focused final year project and subsequent career path. This Studio+ option will suit pragmatic problem solvers who wish to combine their creative design skills with a deep functional and manufacturing understanding. These modules will be supported by 5 credits of activities within the Product Design department, which will seek to contextualise your technical studies, and demonstrate how this can feed into your personal design approach. What will I learn? This particular blend of creative and technical subjects will prepare you for your final year, helping you to develop your technical and engineering knowledge. The content and the purpose of the platform will be determined by you and the student team. You might decide to make a series of weekly arts podcast review new art and design in Dublin, or you might chose to address a topical theme like ‘sexuality today’ or the ‘future of the image’ in longer format podcasts. You might commission experimental sound art or you might want to use the Radio NCAD platform to live stream events which you have organised. The Opportunity: Visual Culture Studies gives you an opportunity to acquire a deeper knowledge of art and design history and theory and to develop your writing, research and analytical skills. What will I learn? You will take modules on NCAD’s specialist Visual Culture BA programme. Taught by the team from the School of Visual Culture, the modules include ‘electives’ (already on offer to all NCAD students), and specialist lecture series on The History of Modernism in Art and Design since the late C19th, on Digital Culture Today and on Situations (the times and places like New York in the late 1970s when culture has undergone dramatic transformation ). With one-to-one supervision, you will develop your writing and presentation skills. You will work in small groups to develop your own ideas and confidence as a speaker and thinker. 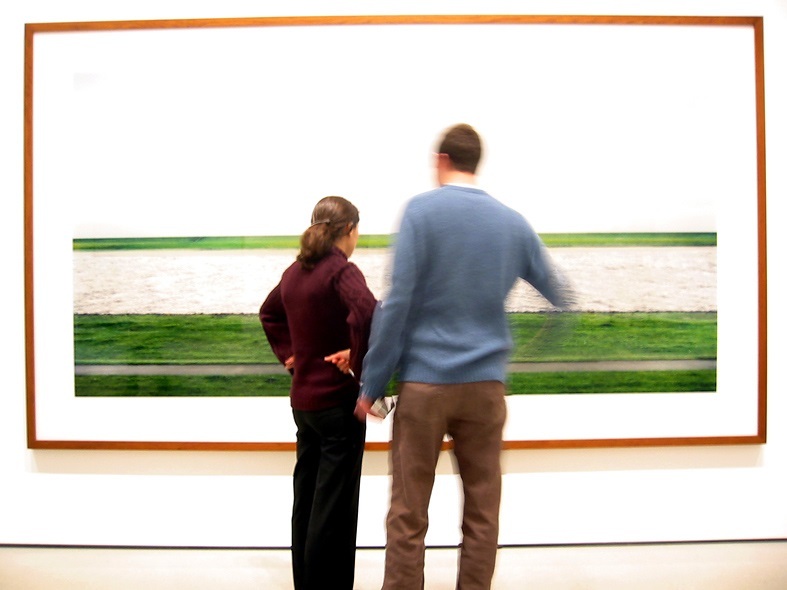 By negotiation, short term placements in arts organisations like galleries and museums will be available. How will I be assessed? Your essays and presentations will be assessed by the tutors and occasionally through peer-feedback. Feedback will usually take the form of written reports. Location: Classes on the Thomas Street campus as well as specialist visits to galleries, museums and arts organisations in Dublin and further afield. The Opportunity: Students who opt for the Studio + Year can include a semester of study abroad at one of NCADs partner institutions as one of their options. Study exchanges to European partners are organised through the Erasmus programme with a small funding grant available to students to help finance living expenses while abroad. Students who successfully complete 30 credits of international study will gain a BA Fine Art/ Design/ Visual Culture (International). There are seven Fine Art options outlined below. The Opportunity: The pattern of students leaving college and joining studios is familiar. This Studio+ option allows you to develop a working base that is responsive to your self-directed motivation, and informed by a wide variety of studio operations drawn from National and International Studio Models. Small micro organisations such as studios each evolve differently, with a particular ethos, with a range of different practices, different arrangements with different framing, and you will be expected to make studio visits and meet organisations to explore their approaches in relation to your own. It will be possible for students to come together as a group and ‘build’ a studio base by making a joint proposal. Your proposal might be constructed through shared thematic interest or attitude or through a shared discipline. This is often how studios evolve. What will I learn? It is a question for you how your studio develops. It may be the site of both the production of artworks and a question whether you will facilitate exhibition or other forms of talks seminars discussion facilitation consistent with contemporary studio practices. Working through a Micro Studio you will learn about the effort required to build a structure and momentum that nourishes your creative work and direction. It is expected that you will have a strong commitment to developing your practice through individual work and work with others. • VIVA presentation of your practice including visuals / powerpoint, etc. Location: NCAD will initially establish up to two studio bases off-campus. Studio+ Micro Studios will be supervised 6 hrs per week and you will have access to NCAD technical facilities as required. How many places are available? Micro Studios is available for 8 students. Who can apply? All Year 2 BA Fine Art Students. The Opportunity: Healthcare environments are major sites of civil research and art practice, and art and creativity have an important role to play. The creation of multiple studios for student artists created by Mercers Institute for Successful Aging (MISA) and NCAD to foster creative encounters with people and place is a pioneering step in Europe. If you are interested in working within a Healthcare context that is emerging as a compelling challenge and site of research and practice in our contemporary culture, this is a great opportunity. MISA is a brand new hospital within St James’s Hospital Complex. Creativity is one of its defining pillars and it has a purpose built ‘Creative Life Studio’ at its heart. Working within MISA you will develop art work in relation to the hospital / its environments or services / or with patients and staff, and have privileged access to a significant environment. What will I learn? You will develop experimental, considered artworks that are consistent with a spectrum of contemporary practice in context and no medium or means is favoured over another. The effort is to find what communicates. You will attend seminars, talks and encounters with a variety of artists, clinicians / facilities staff / patient advocates, research staff, and outpatient services, to gain understanding of a complex and intriguing environment. Your work and development will be supervised by NCAD and the MISA Arts Co-ordinator will manage access to people and places through her sophisticated suite of contacts in an integrated approach. Location: Research floor of Mercers Institute for Successful Aging, in St James’s Hospital Complex. It will be possible if required for students to use workshop facilities at NCAD whilst basing their practice in the hospital and using the Creative Life Centre as a project space. • Artwork that responds to people and place is a significant and growing strand of contemporary art practice and offers a means of developing resources and networks for the future, in addition to informing yourself about the importance and leverage of this work. • Are you interested in learning and developing your art practice in environments that offer you different experiences and perspectives in relation to how you might grow and experiment. • NCAD is offering 6 studio spaces between the World Class redevelopment of Fatima/Rialto based in the F2 Centre at Rialto and in the fantastic Rua Red Arts Centre Facility in Tallaght, encountering highly experienced and expert staff. • Both sites offer the potential to find purchase / traction with people and place, and to engage with well-defined programmes and opportunities - including components that address visiting artists and exhibitions, aspects of curation, and bespoke knowledge and action about the formation and development of contemporary transformation. 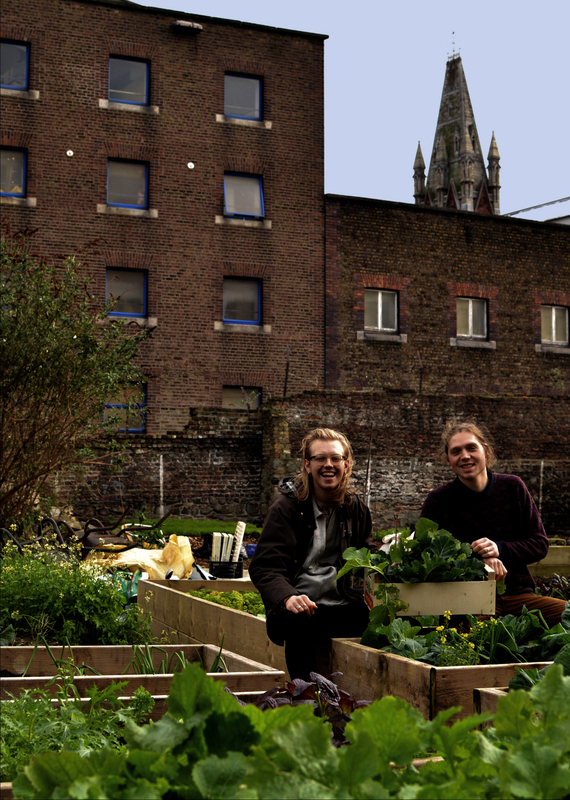 Communities of Interest and Place: Rua Red / F2 Centre – Rialto is available for 6 students. The Opportunity: Artwork that responds to people and place is a significant and growing strand of contemporary art practice and offers a means of developing resources and networks for the future, in addition to informing yourself about the importance and leverage of this work. If you are interested in learning and developing your art practice in environments that offer you different experiences and perspectives in relation to how you might grow and experiment, this is an exciting opportunity. NCAD is offering 6 studio spaces between the World Class redevelopment of Fatima/Rialto based in the F2 Centre at Rialto and in the fantastic Rua Red Arts Centre Facility in Tallaght, encountering highly experienced and expert staff. Location: The F2 Centre in Rialto and the Rua Red Arts Centre in Tallaght. How many places are available? Communities of Interest and Place – Rua Red / F2 Centre has 6 places available. Studio + / Visual Culture+ is a new initiative in NCAD open to all BA students. It first ran in 2017/18 as a pilot project for Design students and is now offered to all 2nd year students across the Schools of Design, Fine Art and Visual Culture. The programme is an optional additional year of study between the second and final year of study that offers you the opportunity to combine accredited work and/or study placements, allowing you build a bespoke learning experience to suit your particular skills and ambitions. Studio+ / Visual Culture + is a 60 credit year after year 2 of the existing BA (Hons) programmes which will allow you to gain practical work experience, study abroad and connect with art and design studios, venues and businesses across Dublin and the wider global NCAD creative network. Studio+ / Visual Culture students will have the opportunity to work on live commercial, social and cultural projects, undertake industry internships and study abroad. The Studio+/ Visual Culture + programme seeks to give students at NCAD a unique sense of independence and professionalism as they work collaboratively with each other, and with external organisations. What modules can I study? You will find information on the modules and combinations available to you on the web site here. Who do I speak to about Studio+ / Visual Culture+? You should speak with your Head of Department in the first instance. Do I have to pay fees for the Studio+/ Visual Culture + year? Yes, fees apply to this year as normal. Can students who are in receipt of a grant apply? Yes, the grant will cover the Studio+ / Visual Culture+ year as per a student’s normal entitlement. Is there funding for international study and internships? Yes, the Erasmus+ scheme provides support for students studying and working in the European Union. There is a small additional fund for Access students (further information is available through the Access Office). It is also possible for students to go on international study and internships on a self-funded basis. Erasmus+ funding does not interfere with SUSI or Back to Education grants. Yes, a set number of Erasmus+ grants are allocated to NCAD by the HEA each year. In the event of oversubscription funding is allocated to students based on criteria such as academic merit and departmental allocation. Students not successful in getting funded through the Erasmus programme can still partake on a self-funded basis. What is the process of finding or selecting an internship? Students are expected to identify and make first contact with organisations which might offer internship opportunities. Guidance is given about how to identify suitable organisations and the best way of making the approach. We also have long-standing contacts and relationships with potential host organisations. When the organisation indicates that it can offer an internship, NCAD provides full details including a Learning Agreement Form. How can I be sure that an internship will provide a worthwhile experience? The college signs a Learning Agreement Form with the partner organisation offering the internship which ensures the internship meets the requirement, namely to provide challenging professional experiences in a supporting environment. Partner organisations are required to outline the number of working hours per week, and, where appropriate, to commit to delivering appropriate training. You also sign an acceptance form which outlines your responsibilities. The college will monitor your placement through regular contact with the host organisation and with you. Do I need to provide documentation to prospective internship hosts? Yes, you will need to agree a learning plan with tutors and internship host companies/organisations. Will I be paid for my work whilst on an internship? Some organisations meet travel costs or provide financial support, others don’t. The nature of any kind of financial support as well as other matters like work insurance arrangements are outlined in the Learning Agreement Form. How will my work achievements on internship be measured? The host organisation will be required to write a statement indicating your achievements and skill development during your internship. You will also be asked to keep a logbook or your activities and reflective journal in which you reflect critically on your experiences. Design students will produce a portfolio of work which provides evidence of the practical work carried out during the internship. Can I do Studio+ / Visual Culture+ if I have failed modules from the previous year? No, you have to have successfully completed your previous year’s modules by the start of the new academic year (September). Acceptance onto the Studio+ or Visual culture+ year is subject to the final approval of your Head of Department. When do I need to apply to undertake the Studio+ / Visual Culture+ year? All 2nd year students will be sent an email with information on how to apply. You should speak to your Head of Department to confirm you wish to undertake the additional year of study. Your modular choices will need to be approved by your programme tutors. The deadline for submitting your application is the 8th March 2019. Should an internship or Erasmus placement fall through, Studio+ provides a range of alternative modules students can undertake based in NCAD. What happens if there are more applicants for a module than places available? Where there are more applicants for a Studio+ / Visual Culture+ module than places available, places will be allocated on the basis of results achieved in semester 1 of year 2. Where the module is primarily a studio module or a Visual Culture module and two students are on the same grade, places will be allocated to the student with the highest grade in the relevant area. What happens if I fail to complete the full Studio+ / Visual Culture+ year. A full Studio+ or Visual Culture+ year is equivalent to 60 credits. If you do not achieve the full credits for the year for whatever reason, you will have the option of returning the following year into the final year of your degree and proceed to get a 3 year BA. Unless your reason for non-completion is due to medical or other very exceptional personal circumstances there will be fee implications as you will effectively be repeating a year. If you find yourself in these circumstances you should contact Student Services & Admissions as soon as possible. Will my degree award change if I take a Studio+ or Visual Culture+ year? Students who complete a Studio+ or Visual Culture + year will complete a four year honours BA with 240 credits. The additional credits from the Plus year will be reflected in your degree transcript. If 30 or more of your additional credits are gained through a study or work placement abroad your will get a BA Fine Art/ Design or Visual Culture (International).